You can earn 490 yards with this purchase! 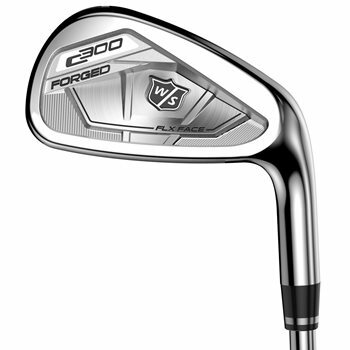 The Wilson Staff C300 irons are the first and only irons to feature Power Holes which are strategically positioned around the entire face. The through-holes minimize contact between the body and the face to provide maximum flex and to expand the sweet spot for greater ball speeds across the entire striking surface. Achieve explosive distance and straighter shots with the Staff C300 irons.